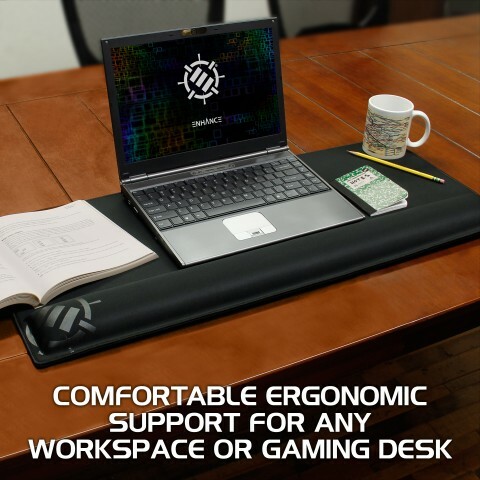 Wrist support and a large gaming surface aren't mutually exclusive. 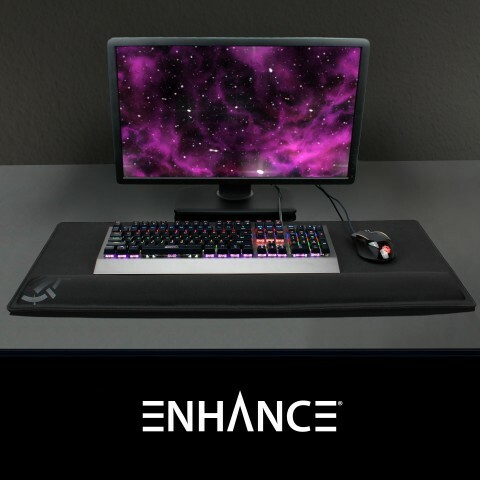 ENHANCE introduces a giant sleek fabric gaming mouse pad surface in combination with a soft memory foam wrist mat for keyboard and mouse wrist support. 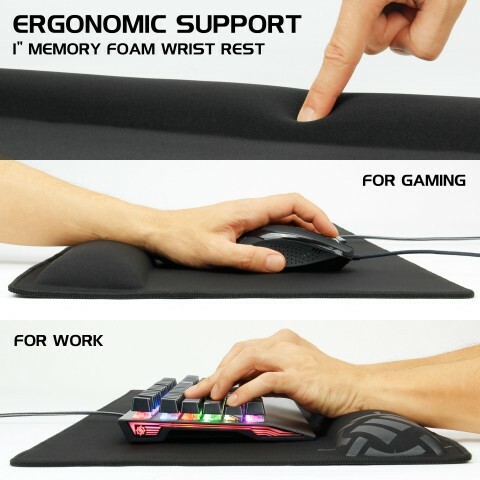 Perfect for long PC gaming sessions, reducing the amount of stress on your wrist while simultaneously offering a luxurious tracking surface with over 434 square inches of surface area. 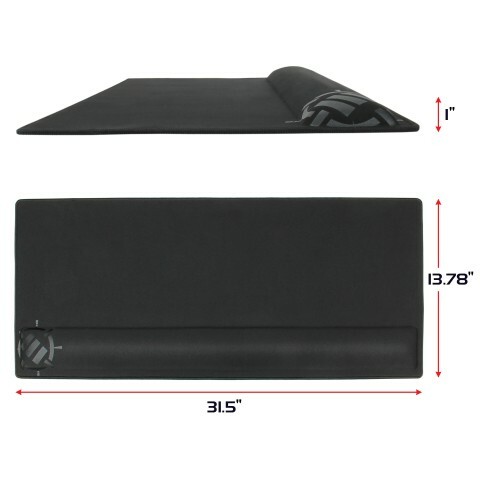 The mouse mat measures at 31.5 x 13.78 x 1 inches for a massive unrestrictive mousing area for unobstructed gaming. 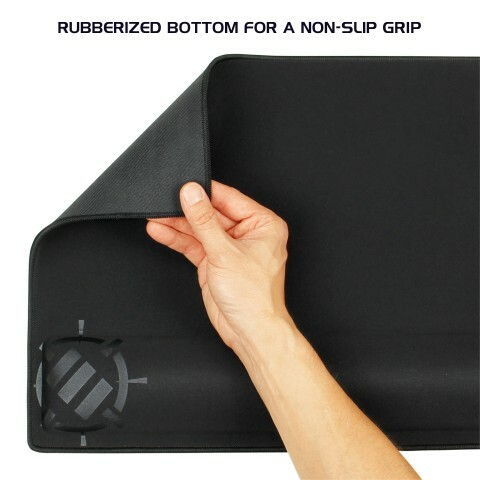 The mouse pad also features a rubber non-slip grip on the backside to prevent any slipping or sliding during intense gaming sessions as well as premium anti-fray stitching to extend the lifetime of the gaming mat. 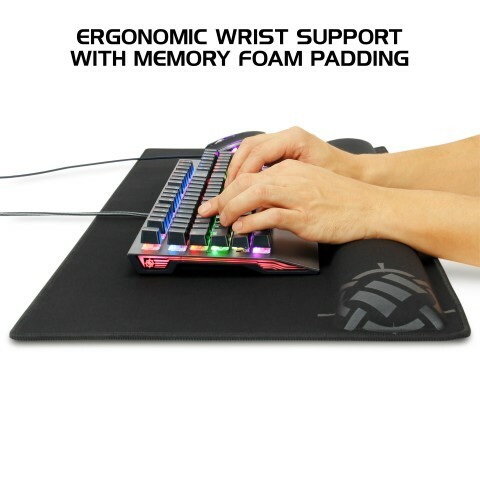 The height of the wrist support is 1 inch, but it quickly forms to your wrist and adjusts to the perfect height for typing and mousing after just a few moments. 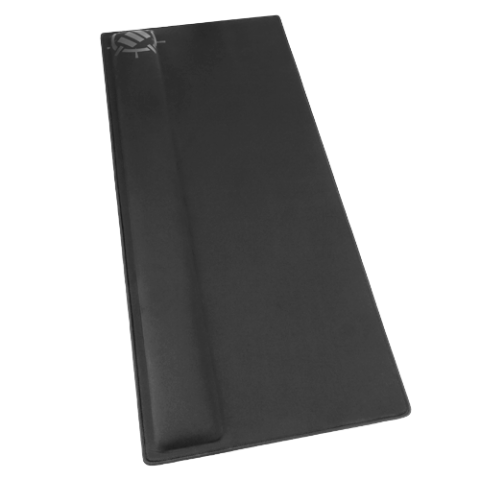 The mouse pad is easy to clean by using a damp cloth then allowing to air dry. 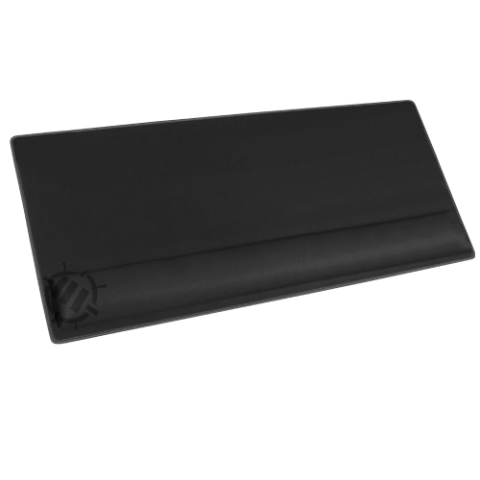 Whether you are a gamer or an office worker, ENHANCE's extended mouse pad is the ideal ergonomic solution of mouse pad and wrist rest. 33.25 x 5.125 x 2.25 in.